Any fans of Pennywort leaves? It’s known to be a medicinal plant – native to India and China, and is consumed across Asia especially India, Burma, Thailand. 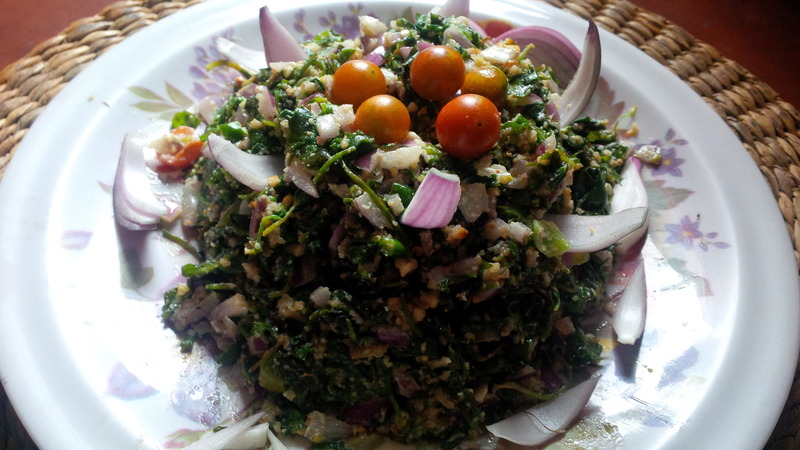 In Nagaland as well, the local people make salads out of these leaves. 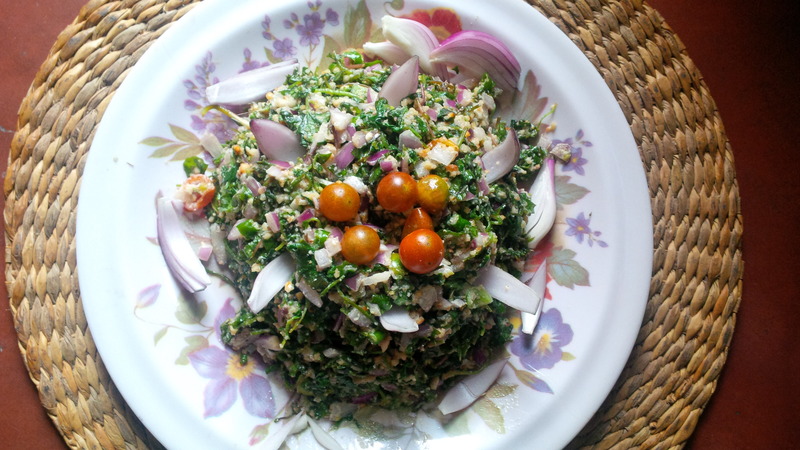 So today, we are sharing a salad recipe made with Pennywort leaves mixed with peanuts. Indian Pennywort leaves | Image source : Google. Photo | Penny Wort Salad. 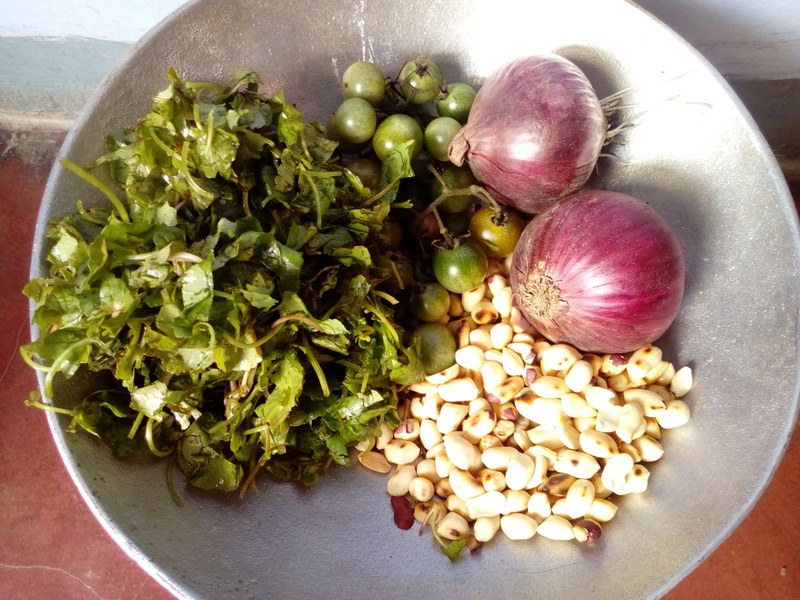 Ingredients | Pennywort leaves, cherry tomatoes, peanuts, chillies and onion. 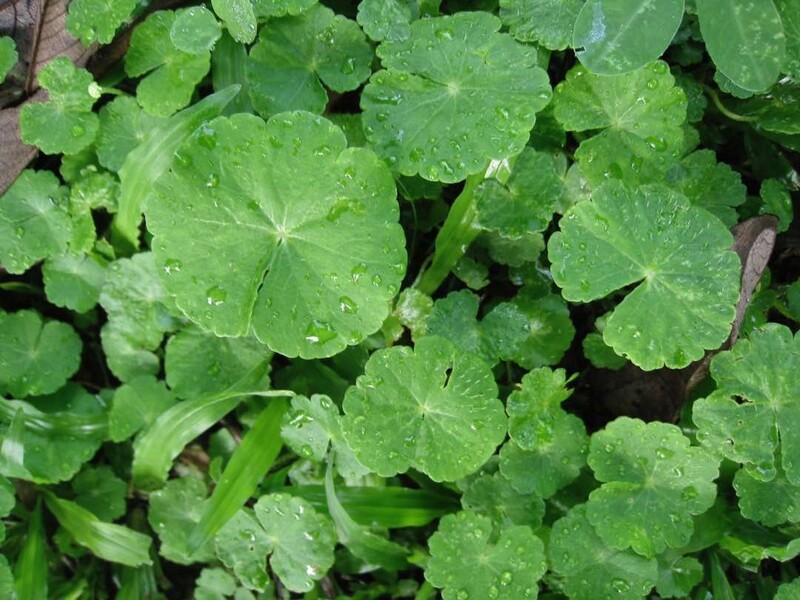 Wash the pennywort leaves in running water, and make sure it’s thoroughly cleaned. Heat the pan and put a little oil and fry the peanuts for a minute or two. Add all the ingredients together in a bowl and mix it well. The salad is ready to be served. 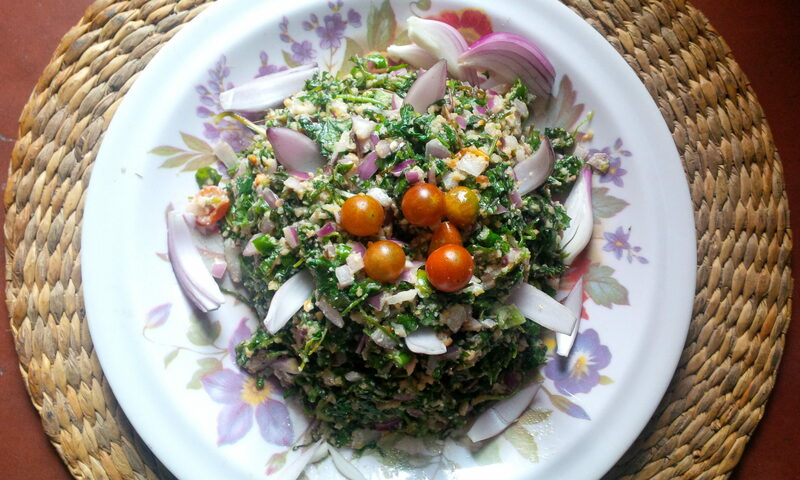 Serve the fresh salad with any meal you like.